And the winners in no particular order… Galaxy Note 4, iPhone 6+, LG G3, HTC One M8, and Moto X.1 So which should you choose if you can only have one? Visit AndroidHeadlines.com for a detailed feature comparison. You can’t go wrong with any of them. In our family, there’s one of almost all of them. If you work with a computer for a living, there is no competition. It scales to any feature set you may need. Run, don’t walk, to your nearest Apple Store and get in line. We waited two months for ours! Hah. Just kidding. It would have been the hands-down favorite in 2014 except for one minor detail. It hasn’t been released… yet. If you absolutely have to have a retina display-quality notebook, then you’ll have to settle for the slightly thicker Macbook Pro this Christmas. For us, we’re waiting for 2015 and what will surely be the MacBook Air with Retina Display. If you’re starting to think we’re charter members of the Apple FanBoy Club, then you haven’t been following Nerd Vittles for very long. We can be one of their harshest critics. But the bottom line is that Apple products are compelling because of their tight integration to Apple’s closed society. If you’re a member of that club, then you’ll want the iPad Air 2 to add to your collection. It’s a terrific tablet at a compelling price. If you’re into Netflix and Amazon Prime and movies, nobody needs to tell you that the streaming device hardware market is a crowded place. The Roku 3 isn’t the cheapest device in the market, but it’s still the one we always drop into our suitcase when we hit the road. It’s simple to configure and supports WiFi almost anywhere. It just works! It’s taken a few starts and stops to get the kinks out, but Vitelity’s vMobile smartphone is a truly revolutionary offering. It provides seamless integration of the smartphone into your PBX infrastructure. The phone becomes "just another extension" on your PBX except the device is 100% mobile which means it works with WiFi or it works anywhere Sprint has a tower. For any organization with staff that travels, this is a must-have device. Anything you can do with a traditional PBX extension, you can do with your smartphone using the vMobile technology. It’s the hands-down winner as VoIP Product of the Year. Use our special signup link and help support the Nerd Vittles, PBX in a Flash, and Incredible PBX projects. We’ve tested lots of small footprint hardware in search of the perfect VOIP platform for the home or SOHO office. The search is over. The hands-down winner is the CuBox-i. It’s tiny, powerful, quiet, and has every feature you could possibly want in a VoIP server. Read our full review here. They’re 25% at NewEgg if you hurry. If there’s one thing all of us have in common, it’s a burning desire to find the best bargain on the planet. In the VoIP marketplace, look no further than here. 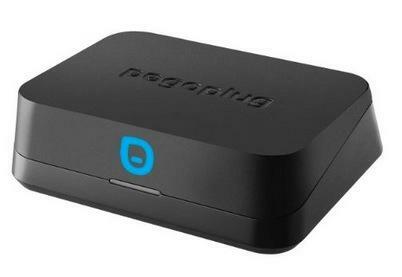 Repurposing a PogoPlug for less than $20 (and some of them went for $5), is the perfect way to learn about VoIP without breaking the bank. Our tutorial on the VoIP Deal of the Year will tell you everything you need to know to get started. The Amazon Echo is still an invitation-only device, but you need to get in line NOW. During the introduction, Amazon is selling them for $99. Or you can get one on eBay for about triple that amount. It’s money well spent. Think of it as a desktop version of Siri. But it’s so much more. With Amazon Prime and Prime Music accounts plus a free iHeartRadio account, you get access to a collection of over a million songs just by saying the name of the artist or song or playlist or radio station of interest. You also can upload 250 of your own songs not purchased through Amazon Music at no charge. Or, for $25 a year, you can upload up to 250,000 tracks much like iTunes Match. The sound quality of the device is nothing short of spectacular. My teenage daughter and I spent over two hours playing with it the first night it arrived. And the excitement hasn’t waned. It’s the go-to device for all of our visitors to explore new and old music. And, yes, Amazon Echo knows the weather, the time, and just about anything else you care to ask about. You’ll have it in your living room in no time. Not only will it speak the results while playing your favorite song, it’ll send the results and to-do list to your smartphone. Over the past few years, we’ve seen a gradual migration of server platforms to the cloud thanks in large part to ever falling prices on the Amazon EC2 platform. But 2014 saw some new cloud strategies. First came the pay-once-use-it-forever platform of CloudAtCost.com. Wait for the next sale and save half on almost any of their server platforms. If you follow us on Twitter, we’ll let you know when it happens. We’ve had several servers for almost a year with no hiccups. In fact, we now keep backup images of the Nerd Vittles, PBX in a Flash, and Incredible PBX web sites running 24/7 on these Canadian servers. Check out the performance for yourself. Then there was Digital Ocean with its pay-by-the-hour pricing coupled with the ability to create virtual machines for almost any platform in under a minute. It truly is a developer’s dream come true. Frankly, it’s our platform of choice for development of all the great software you read about here. Use our signup link and get a $10 credit to try things out. The beauty of the technology is you can create a server with 512MB of RAM and a 20GB drive, work for a half a day, take a snapshot of your project, and then delete the server until you feel like working again. Total cost for use of the platform and storage of your snapshot: about 2¢. While the CuBox-i won the PBX hardware of the year for 2014 very recently, and it is only January 7, 2015, I still hope to read your comments on the new $89 Intel Compute Stick soon. Thank you for your very competent and unbiased reporting.